The Black Ops 4 series is part of Smith & Wesson's M.A.G.I.C. 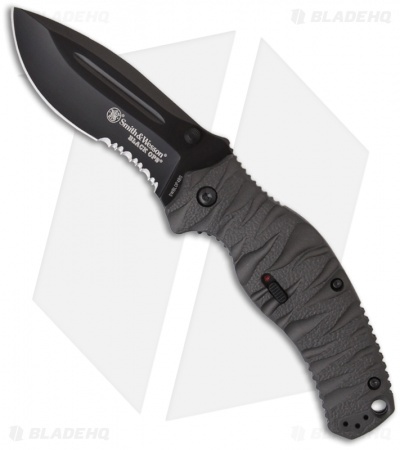 assisted opening knife line. Just a small nudge of the flipper or thumbstud opens the knife. The action on this knife is great and it locks up tight via liner lock. To prevent unintended firing, there is a safety on the handle. The aluminum scales have grooves and a light texture. 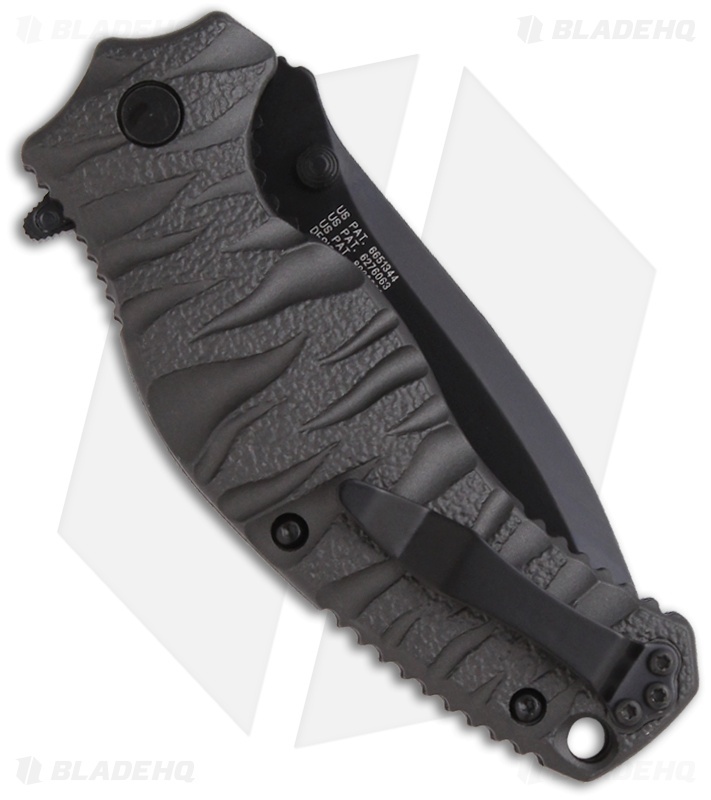 The Black Ops blade is black finished 4034 stainless steel with thumb notches on the spine. Comes with a pocket clip and lanyard hole.